66 Commonwealth is located on the south side of Commonwealth, between Berkeley and Clarendon, with 64 Commonwealth to the east and 68 Commonwealth to the west. 66 Commonwealth was built ca. 1872, one of three contiguous houses (62-64-66 Commonwealth). The three houses form a symmetrical composition, with 64 Commonwealth, in the center, a full story higher with a tall mansard roof ornamented with iron cresting. The flanking houses at 62 and 66 Commonwealth are mirror images of each other. Horizontal string courses of stone unify the façade. Bainbridge Bunting, in the Appendix to his Houses of Boston’s Back Bay, does not indicate an architect for 62-64-66 Commonwealth. However, in the introduction to the Appendix, he notes that “subsequent to the second printing of this book in 1968 the attributions to important architects of several early Back Bay houses have been brought to my attention by friends.” Among these, Bunting indicates that, “from a sifting of mountainous drawings and office correspondence now in the possession of the Boston Public Library, Wheaton Holden has been able to identify” that 62-64 Commonwealth were designed by Peabody and Stearns. Inasmuch as the three houses were built as a unit, this would imply that 66 Commonwealth also was designed by them. All three houses were built for real estate dealer Henry Bigelow Williams for speculative sale. He and his wife, Sarah Louisa (Frothingham) Williams, lived at 317 Dartmouth with his wife’s parents, Samuel Frothingham, Jr., and Maria Louise (Whitredge) Frothingham. 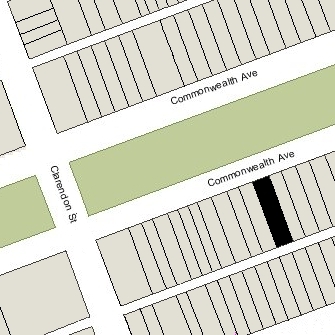 The land for 62-64-66 Commonwealth was composed of three lots, with a combined frontage of 80 feet, acquired by Henry Bigelow Williams in November and December of 1871. The lot to the west was part of a lot originally purchased from the Commonwealth of Massachusetts on January 17, 1866, by John Phelps Putnam, who built his home at 60 Commonwealth. The center lot was purchased from the Commonwealth, also on January 17, 1866, by Henry Bigelow Williams’s father-in-law, Samuel Frothingham Jr. The lot to the west was purchased on November 9, 1871, from the Commonwealth by Henry Bigelow Williams. At the same time he acquired the lot to the east, he sold back a two inch strip to John Phelps Putnam so that the western party wall between his house at 60 Commonwealth and the house to be built at 62 Commonwealth would rest equally on both sides of the boundary between the two properties. As a result, the lots for 62-64-66 Commonwealth each were fractionally reduced. Click here for an index to the deeds for 66 Commonwealth. On April 1, 1873, 66 Commonwealth was purchased from Henry Bigelow Williams by banker and broker Joseph Washington Clark. He and his wife, Eleanor Arnold (Jackson) Clark, made it their home. They previously had lived at 8 Newbury. The Clarks also maintained homes in Dedham and in Pomfret, Connecticut. Their son-in-law and daughter, Charles Van Brunt and Agnes (Clark) Van Brunt, lived with them, both in Boston and in Dedham. Charles Van Brunt was a banker in partnership with Joseph Clark. Joseph Clark died in January of 1892. At about the same time, the Van Brunts moved to Milton. Eleanor Clark continued to live at 66 Commonwealth until her death in December of 1896. After her death, it became the home of the Clarks’ unmarried daughter, Eleanor J. Clark. At the time of the 1920 US Census, her sister, Mary (Clark) Hoppin, the widow of Dr. Courtland Hoppin, a physician, lived with her. Eleanor J. Clark continued to live at 66 Commonwealth until her death in 1923. 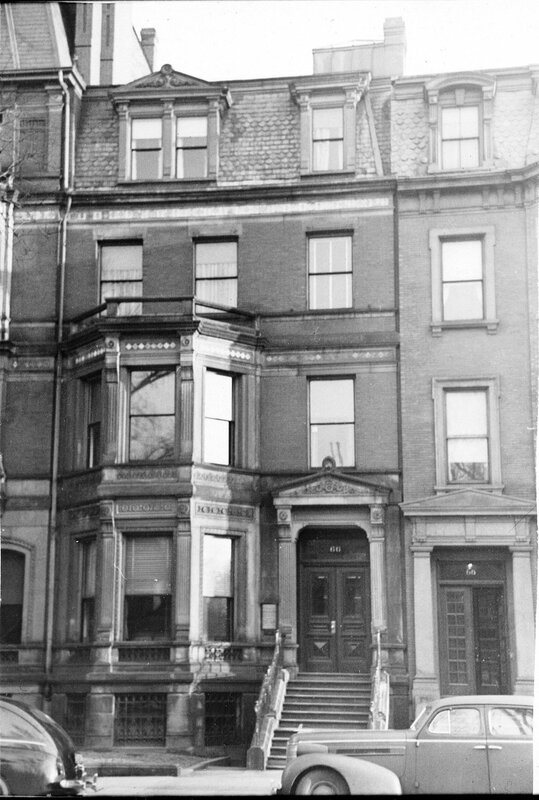 On May 29, 1924, 66 Commonwealth was acquired from the Clark family by Dr. William Edwards Ladd and Dr. Richard Mason Smith, trustees of the Sixty-Six Commonwealth Avenue Trust. William E. Ladd was a pediatric surgeon; he and his wife, Helen Katherine (Barton) Ladd, lived at 326 Dartmouth. 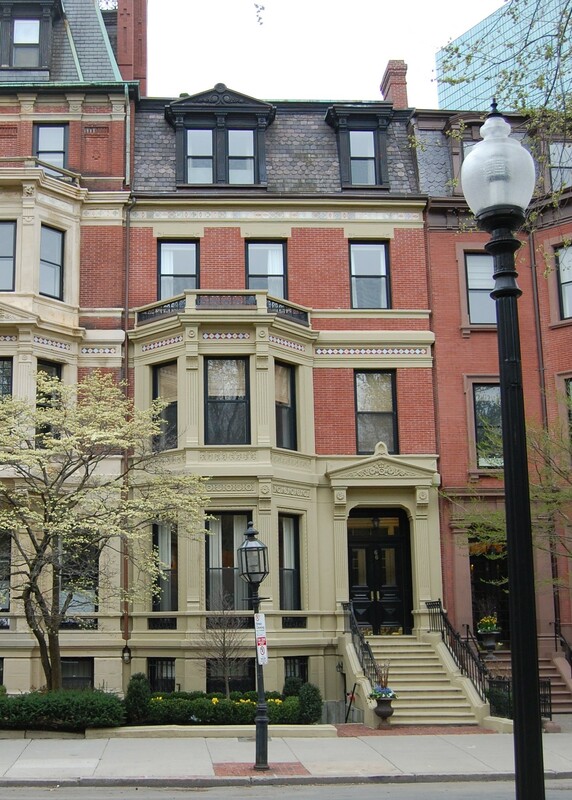 Richard M. Smith was a pediatrician and professor at Harvard Medical School; he and his wife, Josephine Ethel (Brush) Smith, lived at 120 Marlborough. Dr. Ladd and Dr. Smith converted 66 Commonwealth into medical offices, and they and a number of other physicians maintained their offices at there. On October 30, 1942, 66 Commonwealth was acquired from Drs. 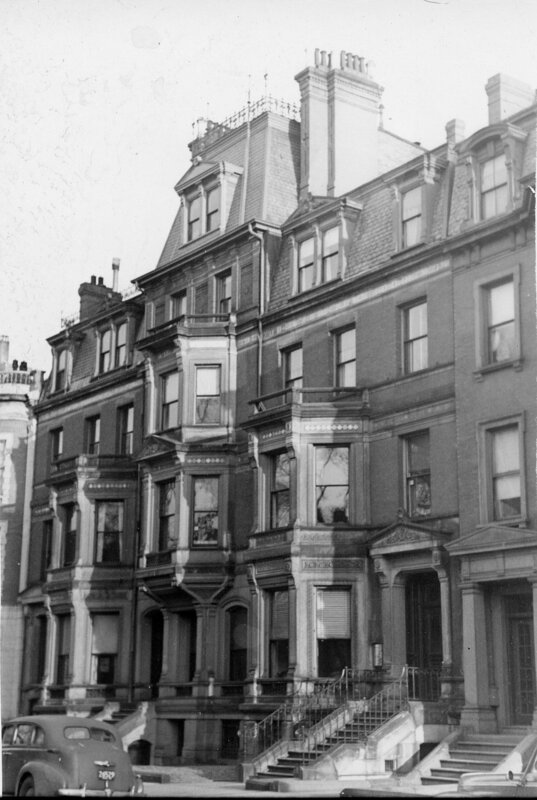 Ladd and Smith by real estate dealer Henry Joseph O’Meara, who converted it into residential units. On November 13, 1942, 64 Commonwealth was acquired from Henry O’Meara by Miss Martha Joseph Sarkis. She lived in one of the apartments with her mother, Annie Zint (Handy) Sarkis, the widow of Joseph Sarkis. They previously had lived at 253 Shawmut. Martha Sarkis was a beautician and operated Martha’s Beauty Salon at 1 Milford Street. Annie Sarkis died in March of 1947. Martha Sarkis continued to live at 66 Commonwealth. In about 1950, Martha Sarkis married to Paul Yacoub Sawaya, previously of Lebanon, also a beautician. By the 1960s, he was manager of the Back Bay Beauty Salon at 45 Newbury. Paul Sawaya died in May of 1968. Martha Sawaya continued to live at 66 Commonwealth. On May 20, 1994, 66 Commonwealth was purchased from Martha Sawaya by Christine Abboud, trustee of the 66 Commonwealth LLC. On January 12, 2002, 66 Commonwealth was acquired from Christine Abboud by the 66 Commonwealth LLC (Mel A. Barkan and John R. Barkan, managing members). 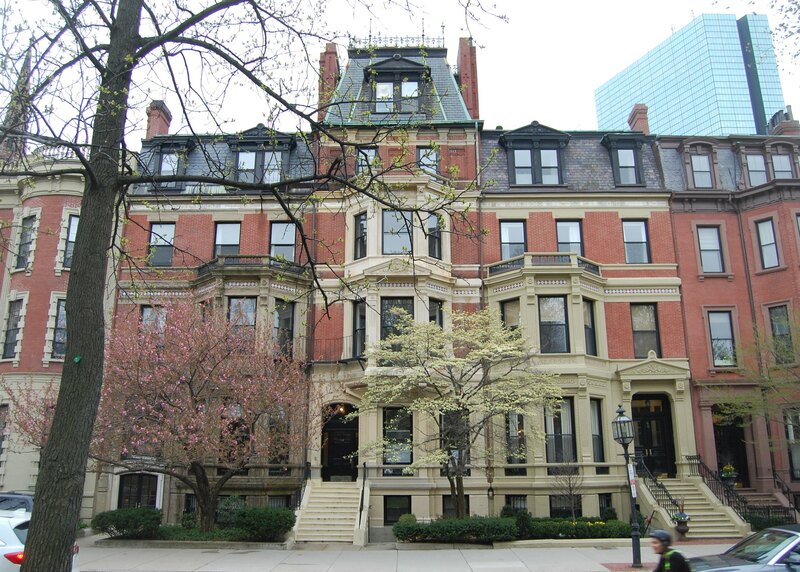 In January of 2002, it applied for (and subsequently received) permission to remodel the property into three apartments, and on April 29, 2003, it converted the apartments into three condominium units, the 66 Commonwealth Avenue Condominium.